The book of the prophet Zephaniah indicates that he ministered during the reign of Josiah (640-609), the last of the godly kings of Judah (cf. Zeph. 1:1). He likely prophesied sometime between 622 and 612 B.C. Just as Amos had prophesied about the imminent coming of the Day of the Lord upon Israel, Zephaniah now predicts the imminent coming of the Day of the Lord upon Judah. Zephaniah, however, does not stop there. He also looks forward to the future time of restoration, and in the third chapter of his book (verse 17), he includes a prophecy that O. Palmer Robertson calls “the John 3:16 of the O.T.” There are a number of helpful commentaries on the Book of Zephaniah, and the following are five of the best. 1. 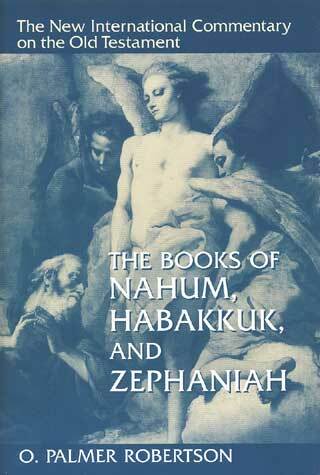 O. Palmer Robertson — The Books of Nahum, Habakkuk, and Zephaniah (New International Commentary on the Old Testament, 1990). Readers of this blog will notice that my top 5 suggestions for Zephaniah commentaries are identical to my top 5 suggestions for Nahum and Habakkuk commentaries. As mentioned previously, Robertson is very helpful at explaining the larger theological themes found within these books. Highly recommended. The commentary on Zephaniah in this volume was written by Alec Motyer, an outstanding Old Testament scholar who has written exceptional commentaries on books such as Exodus and Isaiah. This commentary is fairly technical and requires some knowledge of Hebrew. It is very helpful. 3. 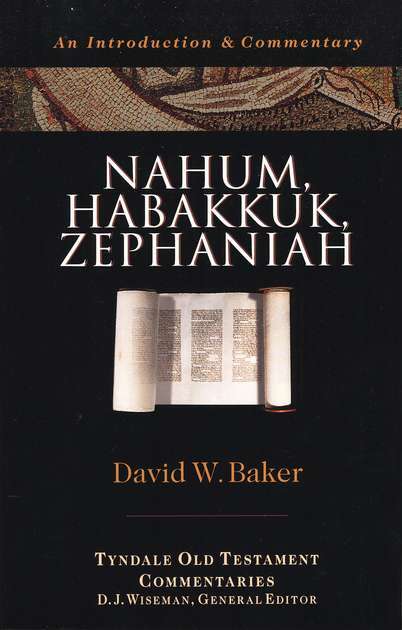 David W. Baker — Nahum, Habakkuk, Zephaniah (Tyndale Old Testament Commentaries, 1988). For those seeking an introductory level commentary on Zephaniah, the best one available is the volume in the Tyndale series by David W. Baker. Although very brief, it does communicate the main ideas very well. 4. 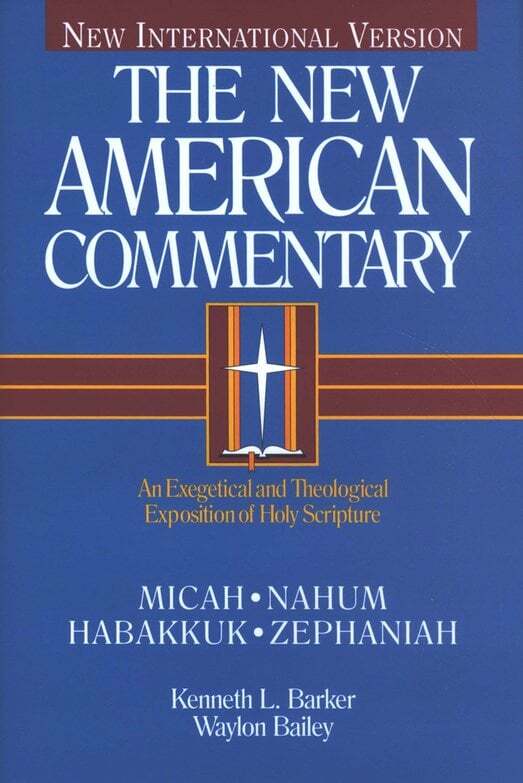 Kenneth L. Barker and Waylon Bailey — Micah Nahum, Habakkuk, Zephaniah (New American Commentary, 1998). At about the same level of difficulty as the NICOT volume, the volume in the NAC series by Barker and Bailey is also a helpful commentary. It is also just as accessible as the NICOT volume. It is not quite as helpful as the NICOT volume, however, on theological issues. 5. 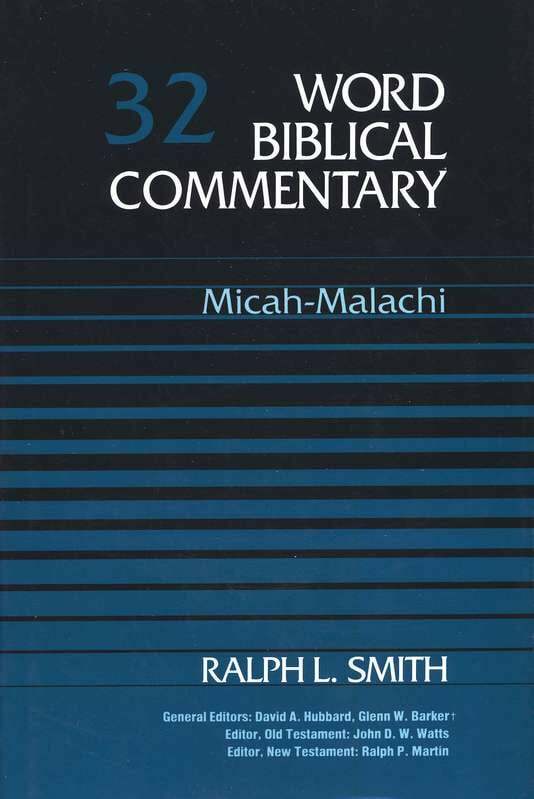 Ralph Smith — Micah-Malachi (Word Biblical Commentary, 1984). 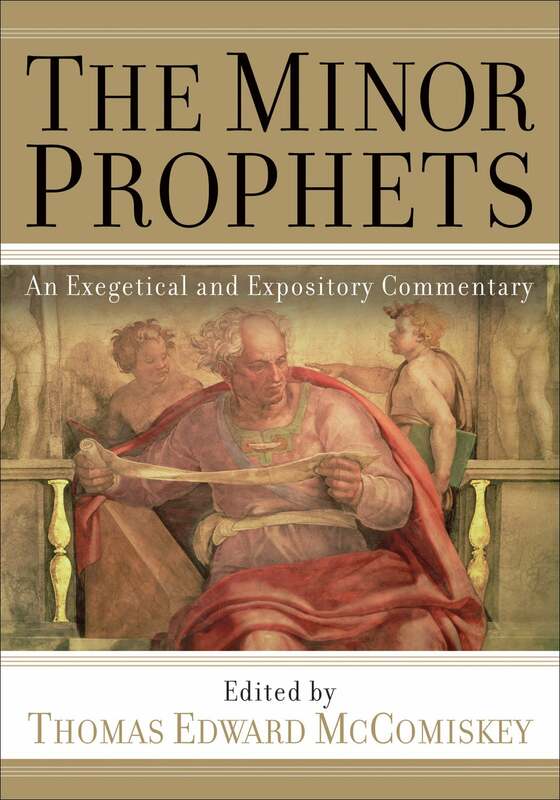 Ralph Smith’s commentary on the last seven books of the Minor Prophets is not nearly as helpful as Douglas Stuart’s commentary on the first five Minor Prophets in the same commentary series, but it is still worth consulting. There are a number of other helpful commentaries on the Book of Zephaniah. At an introductory level are the works by John Mackay, James Montgomery Boice, and Daniel Webber. Pastors will find the NIVAC commentary by James Bruckner useful. The helpful commentary by Richard Patterson that used to be in the Wycliffe series is now back in print.